Our partners use community health workers and mobile clinics to reach some of the most remote and marginalised communities in Kenya and Uganda with family planning services. Working with the Ministry of Health, our partners provide high quality sexual and reproductive health education and a range of family planning methods free of charge, including IUCDs, 5 and 3-year implants, injectables, the pill and condoms. 42% of Kenyans live below the poverty line, with dire consequences for health, nutrition, and education. There are many reasons for this, but one key factor is lack of access to family planning, which means women have no choice over the spacing and number of children they have. By allowing women to choose the number and spacing of their children, based on their economic and environmental conditions, the living standards and health of the whole family can be improved. With smaller families and longer breaks between births, everyone can be better nourished, access to education is improved, and the number of potentially dangerous, unskilled abortions is reduced. Smaller families need less food, water and firewood, reducing pressure on the environment. Josephine was married at 12 or 13 to an older man of around 40. At the age of 30, she is now a single mother of nine, following her husband’s passing last year. It is only now, with the arrival of family planning services to her village, that Josephine has access to contraception for the first time. 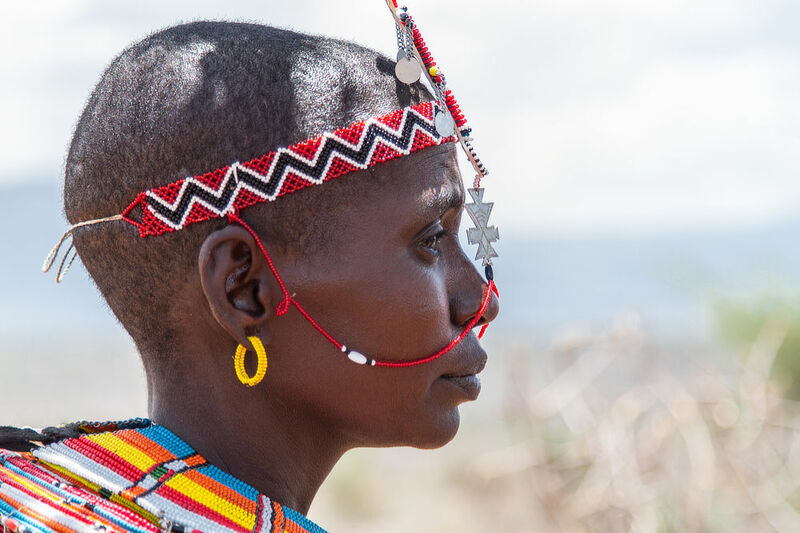 To date CHASE Africa has provided over 110,000 family planning services to women in East Africa. As well as family planning, our partners’ mobile clinics provide healthcare services to the communities they visit. The nursing staff attend to primary healthcare needs such as respiratory infections, skin complaints, diarrhoea and malaria, and also carry out childhood immunisations, deworming treatments, some cancer screening and HIV/AIDS voluntary testing and counselling. Our partners’ mobile clinics use every means possible to reach rural communities with healthcare options. When road conditions allow, clinics will travel in a 4×4, but in hard to reach areas camels can be the best way! Prior to the mobile clinics going out, local community health workers (CHWs) are selected and trained to mobilise the communities the clinics will visit, so that women and their partners can make an informed decision when the clinic arrives. CHWs work door-to-door and in community settings to tell people about the services on offer. They also provide good quality information about sexual and reproductive health and family planning methods. Dealing with the myths surrounding family planning is vital in communities where there may be a lack of knowledge and a high degree of mistrust. 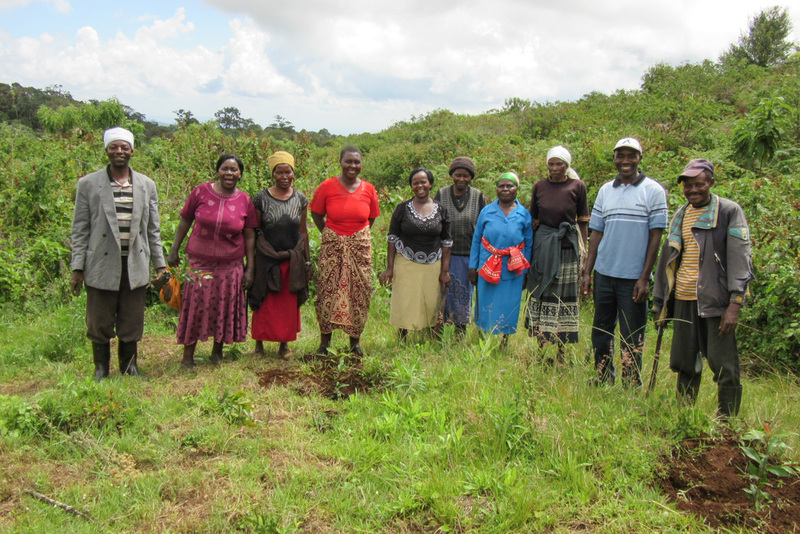 As well as our family planning and healthcare work, we also work with partners in Kenya working on reforestation and community tree-planting schemes. According to the Kenya Forestry Service, forest cover was just 6% in 2013, lower than the 10% forest cover required by the Kenya constitution. Millions of people in East Africa depend on streams and rivers for their water needs, but as forests are cut down, water flow becomes erratic and, in many cases, ceases altogether. When it does rain, the lack of vegetation cover leads to flash flooding and serious soil erosion. The impact of deforestation on wildlife and biodiversity has been devastating. The forest is home to countless forms of wildlife: no forest, no wildlife. Families in East Africa are spending increasing amounts of time and money collecting or paying for wood for fuel and construction. The climate is changing. Average temperatures are rising and extreme weather events – particularly floods and droughts – cause havoc with long-established patterns of cultivation. CHASE Africa aims to address the effects of environmental degradation across East Africa with a programme of forest restoration in national parks and tree planting in schools and villages. We have planted over 165,000 trees in schools, settlements and conservation areas. 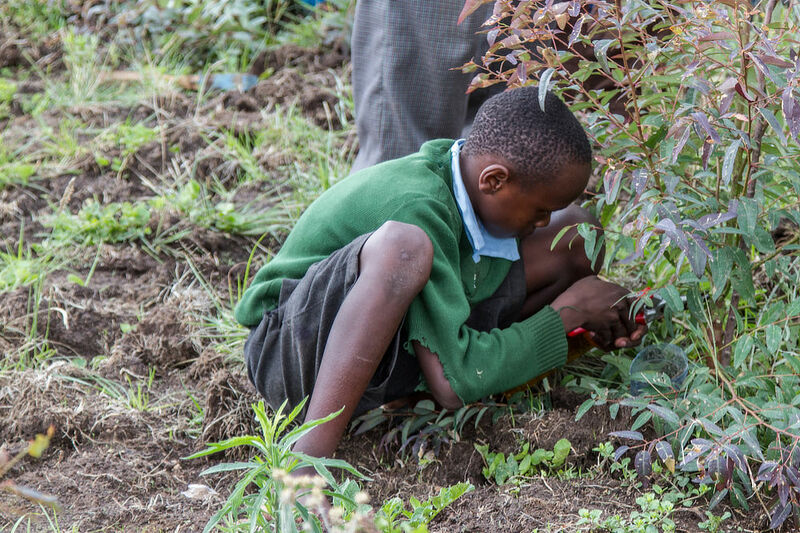 CHASE Africa has funded the planting of trees on plots of between ½ and 1 acre at over 90 schools in Nakuru District. This planting includes both woodlots (fast growing trees to be harvested for fuel and timber taking pressure off the indigenous forest) and indigenous trees which will remain to maturity. Teachers help the children to plant trees whilst at the same time teaching them about all the environmental benefits of that tree planting. These open-air classes are an amazing opportunity for discussion of other issues such as how trees can help mitigate the effects of climate change. After about 12 years the trees are ready to harvest. Some trees are sold to be used as electricity supply poles, some are sold for construction and some as firewood. Some of our schools have already made over £35,000 from timber sales. Two schools used their wood to construct two new classrooms each, another built a school kitchen. CHASE Africa has been working with the Mount Kenya Trust to reforest cleared areas in the national park. We have completed a pioneering project at Irangi on the East side of Mount Kenya where 10 hectares which were cleared by illegal logging have been replanted with over 70 different species. We will replicate this elsewhere on Mount Kenya. Some of the trees are grown by women’s groups who get paid for the seedlings and the rarer trees are supplied by Plants for life International (PLI). By planting such a wide variety of trees we are helping to rebuild lost bio-diversity.